« South Pacific at The Ogunquit Playhouse-playing now! Get your beach chairs, shade tents, beach caddies and more! Get your rentals from the Activities Office upstairs from the Lobby. Rentals are cash only and cannot be charged to your room. ultimate concierge and pick his brain while enjoying a cup of coffee! Meet on the outside patio by the pool. In case of rain, meet upstairs in the Activities Office. Pick up your Family Scavenger Hunt at the front desk. The earliest start time is 11:00am and participants have until Wednesday at 10:00am to complete the hunt. Forms must be turned in to the front desk when finished. The winner will be announced on Thursday at 10:30am in the Activities Office. Good luck and good hunting! Join us on a guided tour of Maine’s most famous footpath. See the sights and learn the fascinating story behind this special piece of coastline. Tour participants will need to be comfortable walking up to 2.5 miles. This is a spectacular trip that will demand the attention of your camera! Participants need to sign up in advance in the hallway directly across from the Front Desk. Meet by the Lobby for departure. This walk will begin in Perkins cove and end at main beach. This trip is limited to the first 10 people to sign-up. A chance for kids to create a souvenir from their vacation. Work with assorted materials to construct your very own picture frame! Meet upstairs in the Activities Office. Have fun making necklaces, bracelets, anklets, or key chains! Meet on the outside patio by the pool. In case of rain, meet upstairs in the Activities Office. Wish you could bring the sun from your vacation home with you? Well you can by creating your very own sun catcher. Paint a beautiful flip flop or tropical fish and hang it in your window at home to catch the sun! Meet on the outside patio by the pool. In case of rain, meet upstairs in the Activities Office. Kayak one of our beautiful tidal rivers and estuaries located along our southern coast. Experience the tranquility of gliding along the waterways while watching for wildlife and taking in the exceptional scenery. Participants can choose to paddle with the group or explore on their own. This trip is not guided by a kayak instructor and participants need to be comfortable handling a kayak or canoe on their own or with their partner. Kayaks have open seats and are very user friendly. Wear clothing and shoes that can get wet (water will drip off your paddle) and a bathing suit if you want to swim. Bring water and sun protection. Locations will be selected according to current weather and tidal conditions. Cost for boat rentals will be around $25/single and $40/doubles and will be paid at the rental shop. Meet by the Lobby for departure. Participants will need to drive their own vehicles. Get ready to play all the classic lawn games that made you happy as a kid and keep you chuckling as an adult. Not only do we have horse shoe pits installed, we also have: badminton, croquette, bocce, and more! This activity will take place on the side lawn behind building 1. 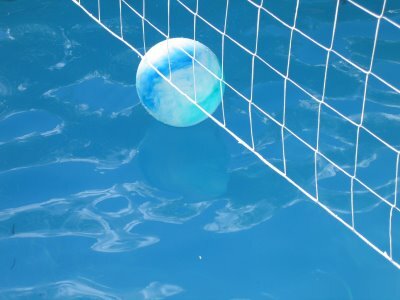 Meet in the pool for a fun game of volleyball. This is a great game for both kids and adults. Get your exercise while having a blast! Enjoy a leisurely bike ride along southern Maine’s picturesque coastline. This ride is for taking in the sights along the rocky shoreline and the sandy beaches. This tour allows for several stops where riders can get off the bikes, soak up the scenery, look for seals, and take some stunning pictures. Equipment is available for all ages. The ride is approximately 9 miles long and done at a leisurely pace. Participants will need to dress for the weather and bring water bottles. You must register ahead of time at the Front desk. Meet in the Activities office upstairs from the Lobby 5 minutes before scheduled departure to complete rental forms. There is a $10 cash fee for this activity due at time of registration. Participants must be able to ride a bike safely! A chance for kids to be expressive using an array of crafts. Choose anything from coloring to painting to creating just about anything! Meet upstairs in the activities office. For holding seashells or hidden treasures! Design and paint your own treasure box. Meet upstairs in the Activities Office. could be so sinfully sweet! This event will take place on the outside patio by the pool In case of rain, this event will be held upstairs in the Activities Office. Create your own kite to hang in your room or let it fly high! This event will be held upstairs in the Activities Office. Design your own sand creation! Create your own wavy bottle masterpiece. Meet upstairs in the Activity Office. Make your own set of wind chimes to enjoy anytime the breeze blows. Meet upstairs in the Activity Office. Come bake some cookies with Karly and add your own decorations! Meet upstairs in the Activities Office at 12:45to reserve your cookies. 15 tickets available- Get them while they last! A treat for the whole family! The kids get to enjoy pizza for dinner while watching a movie or playing an assortment of fun games. The parents get to enjoy some precious time to themselves! This activity will take place in the reception center. Movies shown will be appropriate for all ages. This activity is open to kids ages 6-12. Parents must register their children at the front desk by 11:00am, Tuesday morning. There will be an $8.00 cash fee paid at the time of registration. This activity is limited to the first 15 kids registered only. Sorry, no late admittance will be allowed. Parents must drop off and pick up their kids in person. Please understand that these rules are necessary to create the safest environment possible for your kids. Create a bag for the beach or wherever you go. Meet upstairs in the Activities Office. Come play several rounds of BINGO and win crazy cool prizes! Meet on the outside patio by the pool. In case of rain, meet upstairs in the Activities Office. A chance for kids to create their own puzzle! Meet on the outside patio by the pool. In case of rain, meet upstairs in the Activities Office. Join Karly at the picnic tables behind the Reception Center for some fun! T-shirts will be provided. In case of rain, meet upstairs in the Activities Office. This entry was posted on June 29, 2012 at 1:00 pm and is filed under Activities, Resort News. You can follow any responses to this entry through the RSS 2.0 feed. You can leave a response, or trackback from your own site.